2018 AlfaTour Mobile Showroom | Valutech Inc. 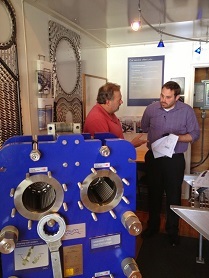 Experience the latest in heat exchanger technology. Presented by Alfa Laval – a leading global provider of specialized products and engineering solutions based on its key technologies of heat transfer, separation and fluid handling. On-site monitoring/testing/trouble shooting techniques for Plate Heat Exchangers.